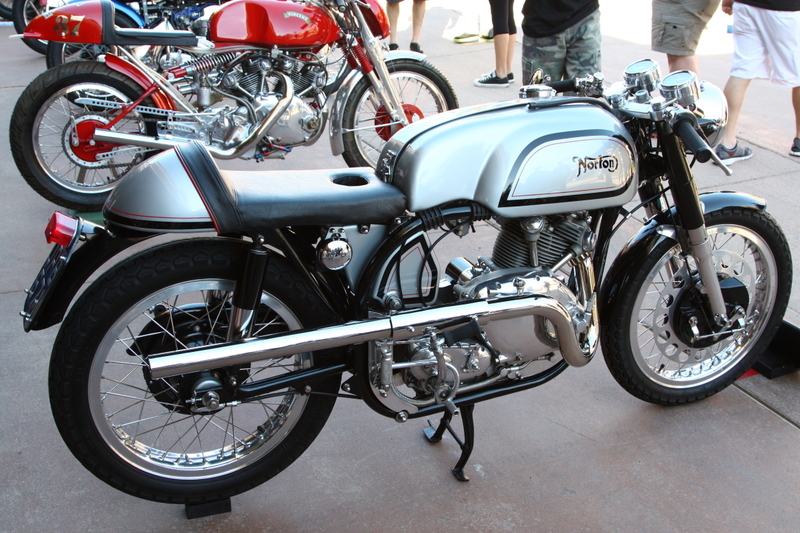 The modification of a motorcycle to improve its competitiveness has always been part of the racing game. 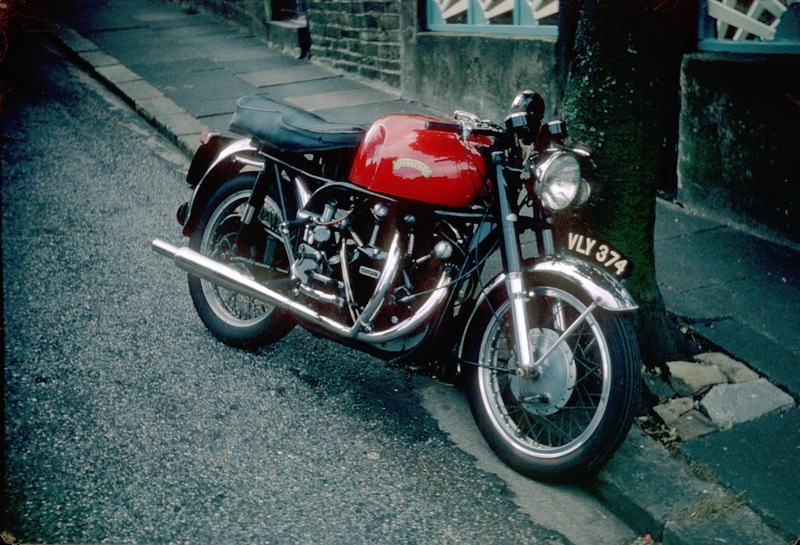 However, the case of the post-war Vincent, particularly the twins, is quite interesting because they were raced well beyond the moment that the factory stopped the production. 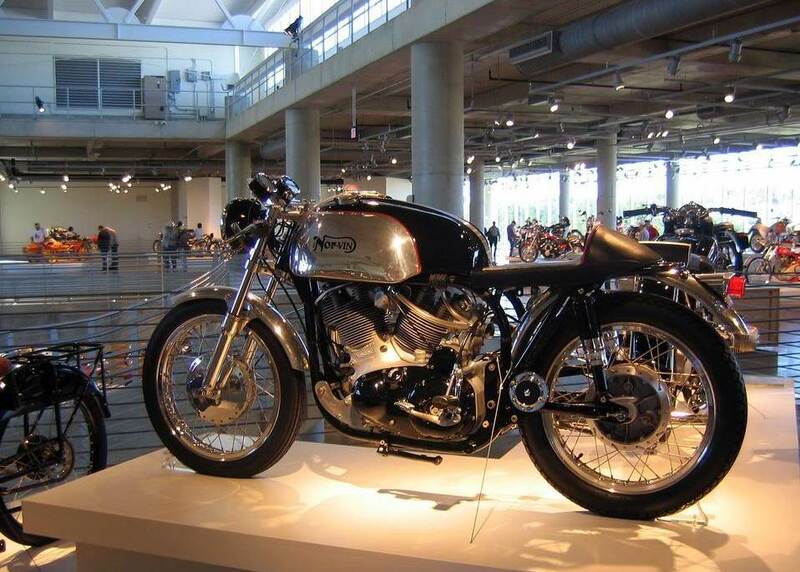 For about 15 years, racers were using the Vincent to adapt it to all disciplines like race track, sidecars, grass-track, drag-race, an evidence that the power plant one of the most competitive available at that time. In fact, the already potent Black Shadow engines turned out to be a genuine beast when they were upgraded to Black Lightning specification. So boosting the engine, changing the brakes and the suspensions for more modern and competitive elements were just part of the very first steps, but soon started the hybridization. 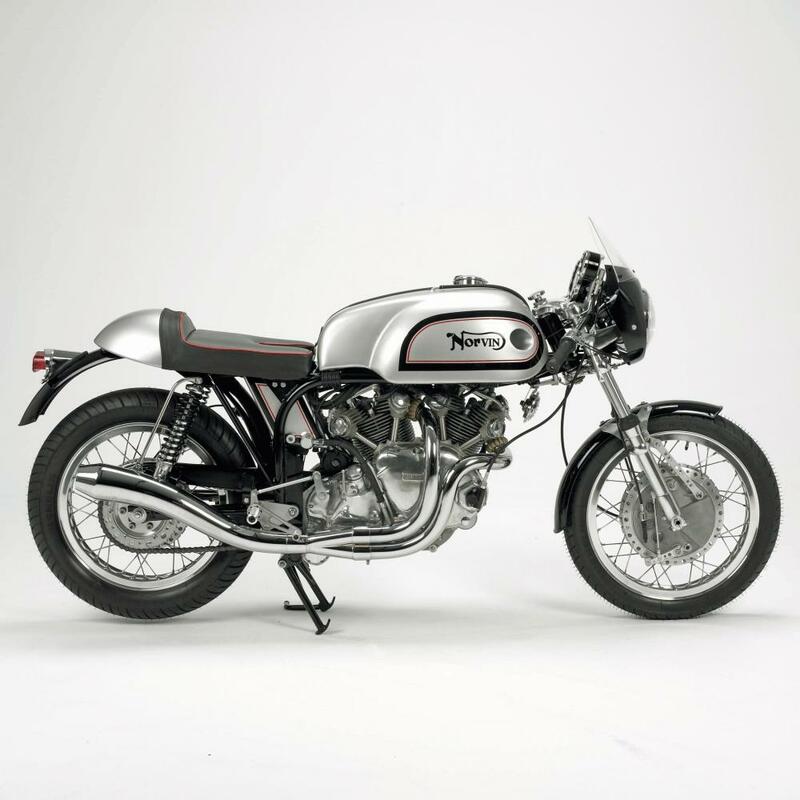 You can imagine that blending the Vincent Black Lightning engine with the most competitive rolling frame of the moment, crossed the mind of many pilots in the late 50s and early 60s. 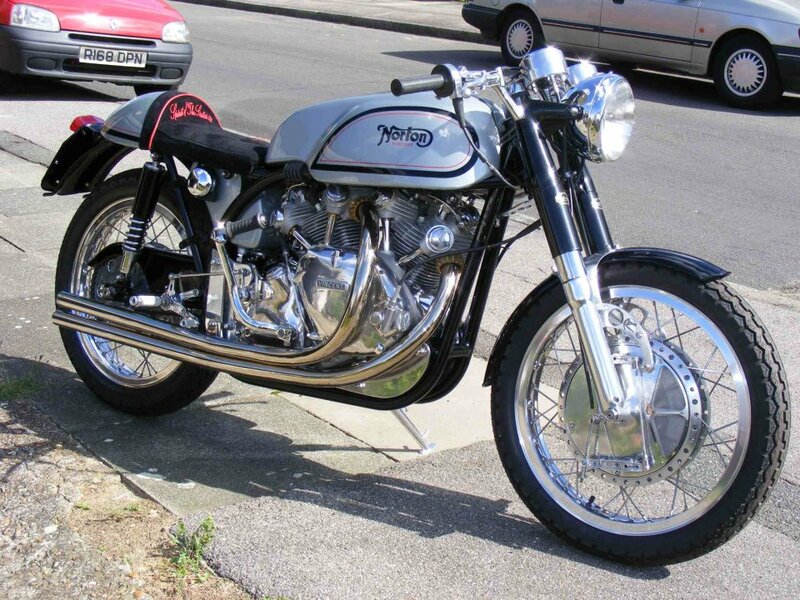 By that time, the Vincent was cheap as was the oldest Norton Manx after a few seasons. 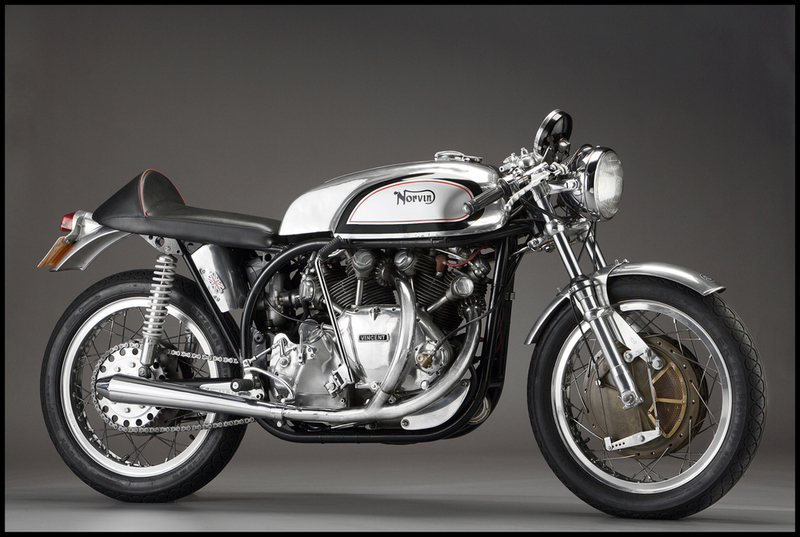 So was born the Norvin sometimes called the Vinton, which is more logical if we consider the Triton reference. 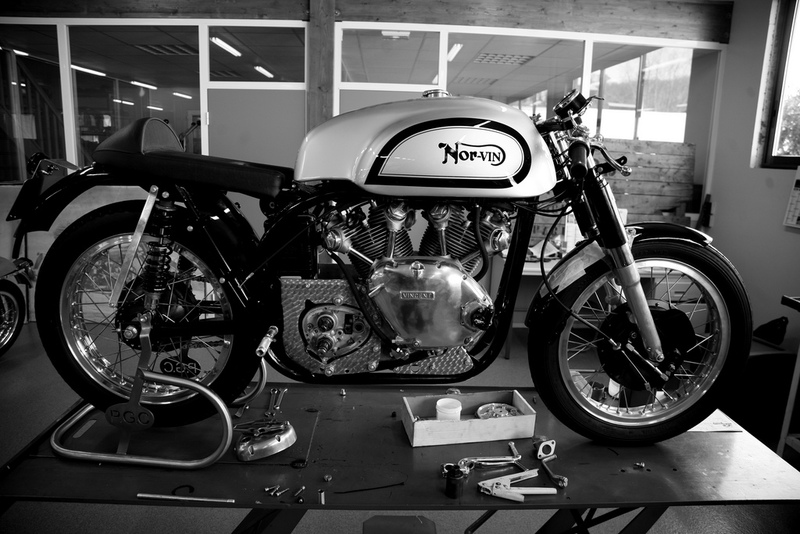 But the Norvin was not only a racing story and the recipe that was proven to be great on the track, it also inspired many workshops for street bikes. In that case the more affordable wideline base was used rather than the Manx frame, along with a Road-holder front fork and aftermarket parts. Engine mounts were even available for many combinations of frame for either stock units or chopped engines. Each project was a one-off and, as you can guess the reflects of the attention that the builder dedicated to the project, not to mention his own skills. In my opinion, only a few Norvin were greater than the sum of the parts they were made of, I came across a few of the best. 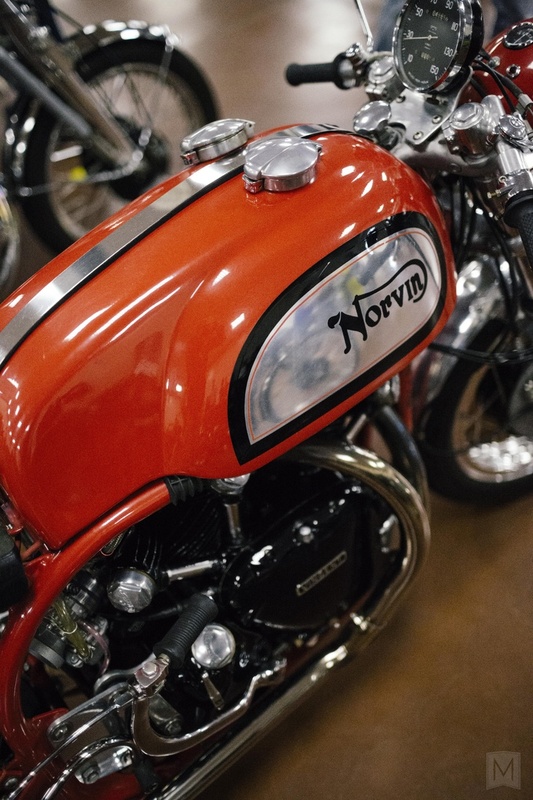 One of the finest example of a Norvin that you can find. 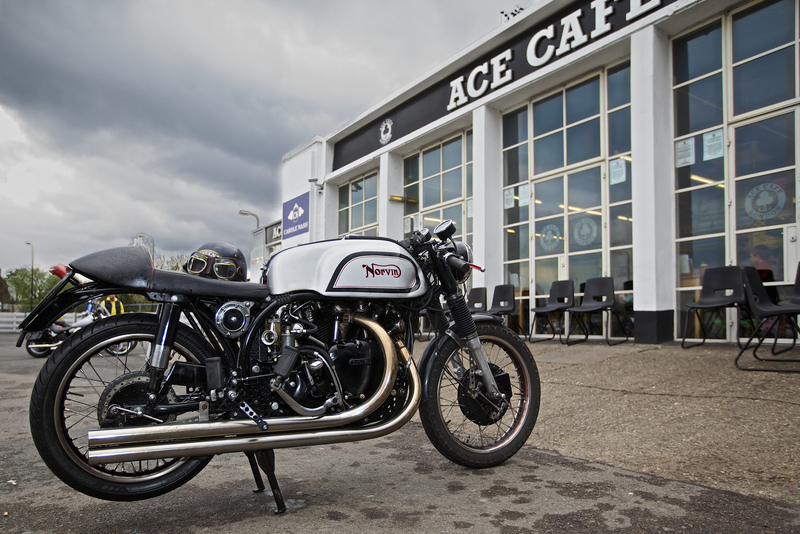 It combines the stock Norton Manx frame (wide loop above the gearbox, and very importantly the crankcases have not been chopped to fit a Burman gearbox. Another great Norvin. I love the straight pipes. Mars Webster’s Norvin is one of my favorite Comet. 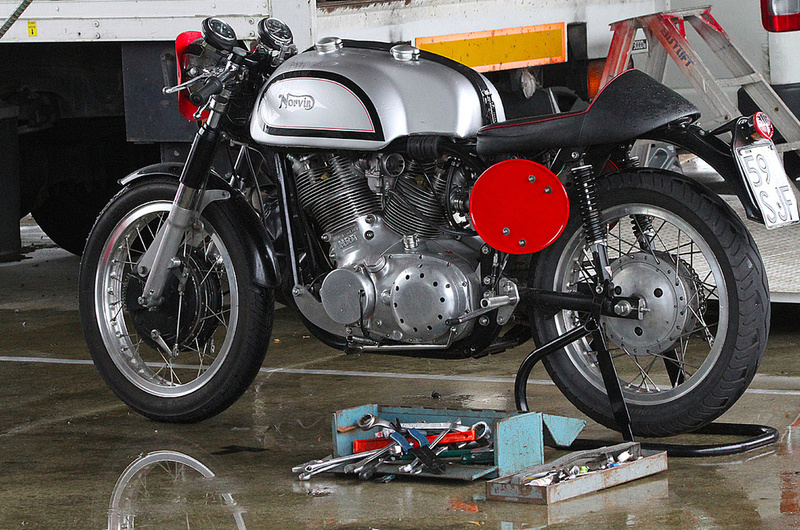 Indeed in a Featherbed, the feet replacing the rear cylinder is gone and make the design much lighter. Just behind John Surtees’ Lightning Replica. 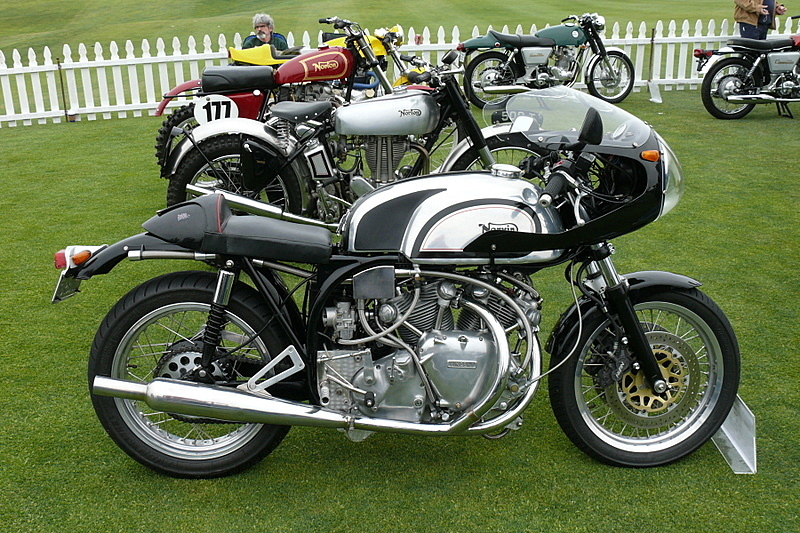 Some Norvin have been built with a chopped frame like this one that have the front tube removed. 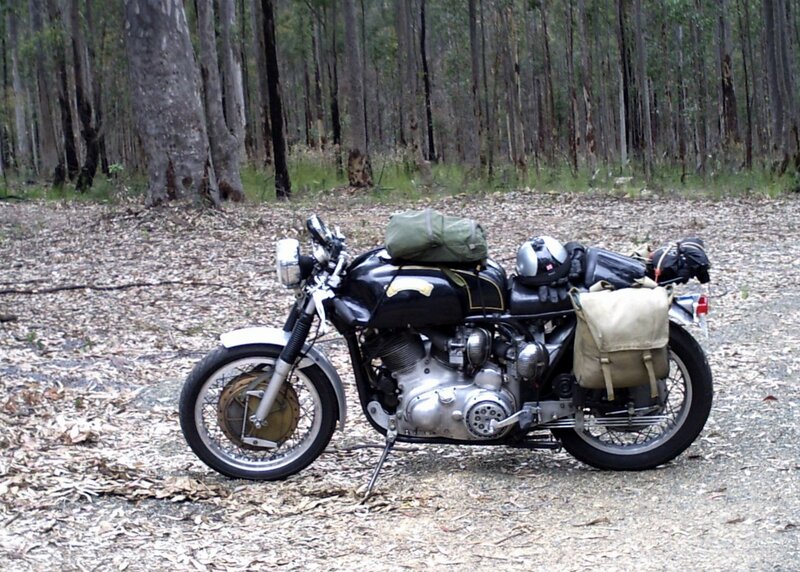 Ken Phelps’ Norvin in Australia. Thanks Philippe…. I have owned a ‘C’ Shadow and I know how the standard Vincent gearbox transfers power to the road. I would not cut a unit Vincent power plant myself…but if somebody is using cases which have been cut in a former life..then it is a wonderful opportunity to install a quality transmission. Fabulous web page by the way.